Duke used left-handed pitcher Graeme Stinson predominantly out of the bullpen last season. 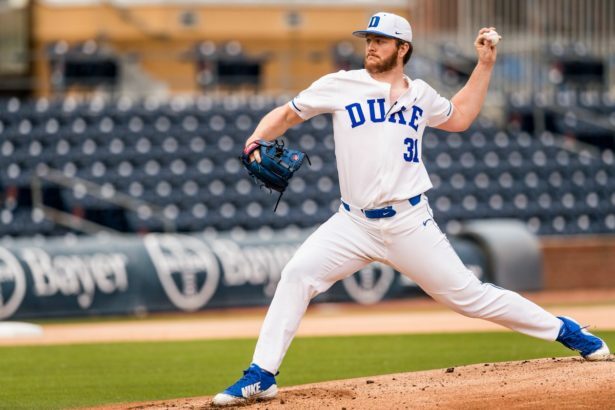 Nineteen of his 23 appearance came as a reliever but in Duke’s NCAA Super Regional against a dangerous Texas Tech offense, Stinson started and threw six shutout innings. 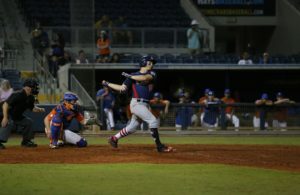 He continued his success in the summer with USA Baseball’s Collegiate National Team as the team’s top pitcher. 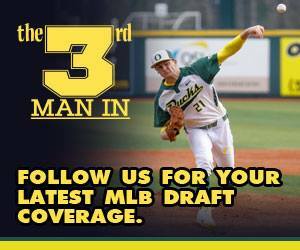 His notable performances as a starter caused professional scouts to consider him as the top college pitcher entering this season in the 2019 MLB draft class. MLB.com ranks the left-hander as the ninth-best prospect in June’s draft. 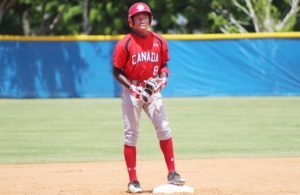 If Stinson can succeed in his junior season this spring, he’ll likely eclipse Marcus Stroman, who went No. 22 in 2012, as the highest-ever draft pick in Duke history. Stinson, a 6-foot-5, 260-pound lefty, posted a 1.89 ERA with 98 strikeouts compared to 19 walks in 62 innings last year. His 14.2 strikeouts per nine innings topped all Division I pitchers who threw at least 62 innings. Stinson’s sophomore campaign was notable, especially after a difficult freshman year in 2017. In 12 appearances (nine starts), he recorded a 6.67 ERA, 45 strikeouts and 12 walks in 28 1/3 as a freshman. Duke coach Chris Pollard never gave Stinson an explanation on why he pushed him to the bullpen last season. But Stinson believes it helped his development, even though he views himself as a starting pitcher long-term. “Last year proved to me that I can be put in any situation and compete in that situation,” Stinson said. Stinson throws a fastball, slider and changeup from a three-quarter arm slot. His best offering is his mid-80s slider, which might be the best slider in the draft. It’s an above-average offering, and he generates a significant amount of his strikeouts with the pitch. His fastball sits in the mid-to-upper-90s and is also an above-average offering. “I think my ability to compete on a consistent basis and not really the situation determine the outcome is my biggest strength,” Stinson said. His changeup is a developing pitch. He worked on refining his changeup this offseason and believes he’ll display a consistent feel and an ability to throw it for strikes this spring. Stinson has also struggled at times to repeat his delivery as a starter, which has hurt his fastball command. Stinson focused on his command and cleaning up his delivery in the offseason, he said. 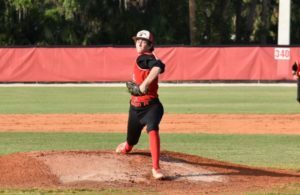 Scouts will keep a close eye on Stinson’s consistency with his changeup and delivery this spring. Those will be two critical components for Stinson if he wants to go early in the draft. Although Stinson hasn’t been told what his role will be this season, he’ll likely serve as Duke’s No. 1 starter. Regardless, his focus remains on guiding Duke deep into postseason play, after falling one win away from making the College World Series last season.